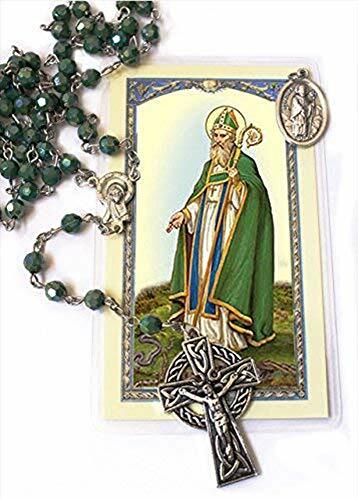 St. Patrick, the very symbol of Ireland, is represented here with his own rosary. 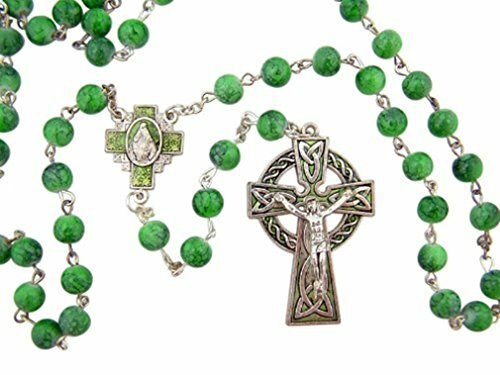 Each green glass prayer bead has the imprint of a shamrock, which Patrick used for teaching the concept of the Trinity: Father, Son and Holy Spirit. 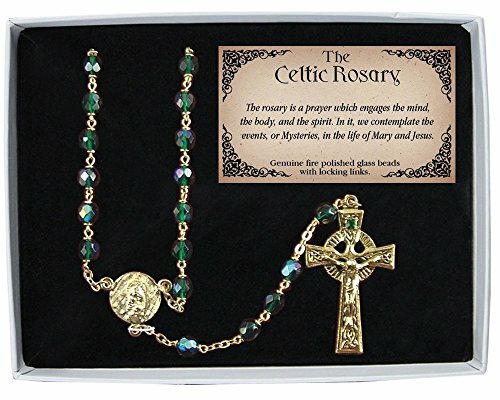 The centerpiece is an image of St. Patrick and the crucifix has a Celtic Cross. 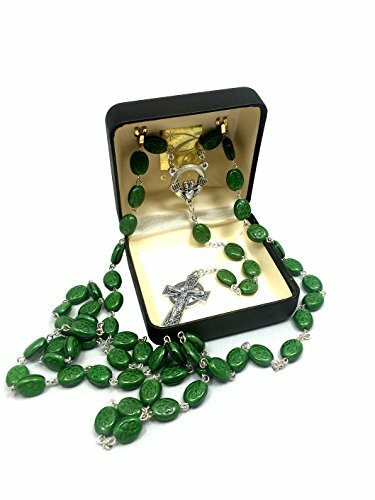 Each rosary comes in a gift box ready for gift giving. 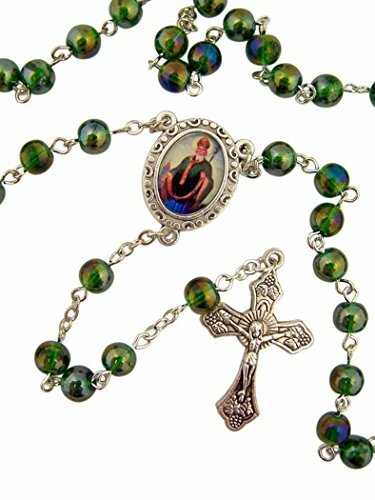 The rosary is 24 inches long. 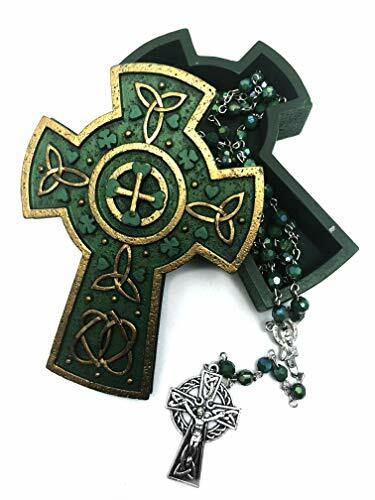 The Beautiful St. Patrick gift set comes with a green round shamrock glass beads Irish Rosary with a colored Saint Patrick center and a oxidized Celtic Crucifix. 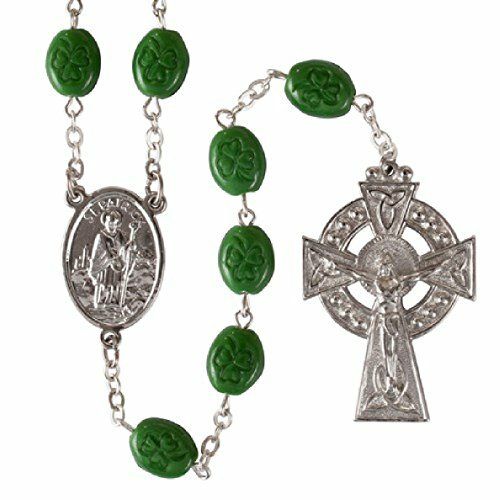 The set also comes with a St. Patrick medal, with St. Bridget on the reverse side. 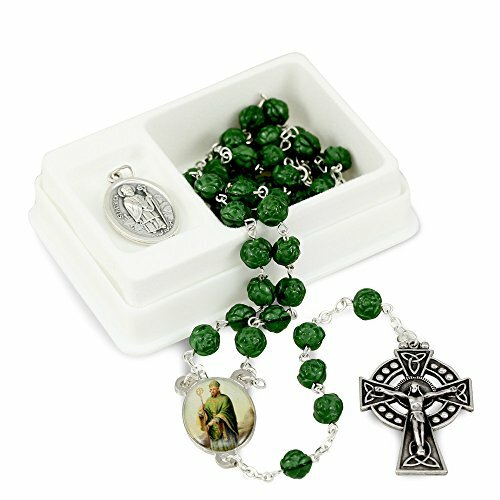 The Rosary set comes in a two compartment box and the Rosary can be worn. 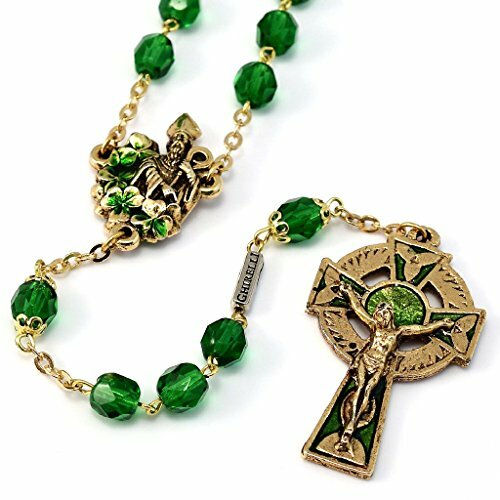 Made in Italy Details: Rosary Details: 7mm Green Glass Beads Silver Tone Metal Links Design Oxidized St Patrick center 1 1/2 inches Celtic Crucifix (3.8cm) Inner Length: 14 inches (35.6cm) Total Length: 20 inches (50.8cm) Plastic Box Dimensions: 2 1/4 x 3 1/4 inches (5.7cm x 8.3cm). Medal Size: 16mm x 22mm (1.6cm x 2.2cm). Cathedral Art is an industry leader for competitively priced occasion-driven, inspirational and impulse product. Whether you are looking for anniversary, baby or bereavement items or you are looking for impulse items such as companion coins, pocket tokens, key rings, visor clips, or jewelry, we are your resource. 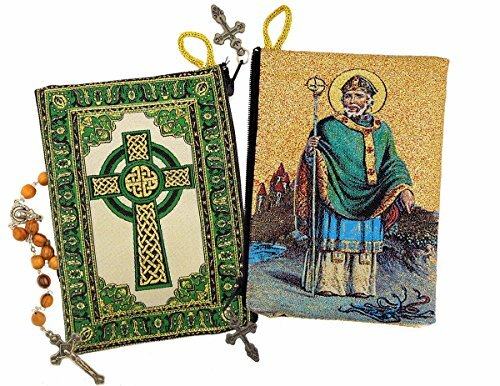 Search Cathedral Art on Amazon for more items from our collection.